Starting Strong shows teachers how to use four proven instructional approaches—standards based, evidenced based, assessment based, and student based—to improve their teaching practice in all areas of early literacy. 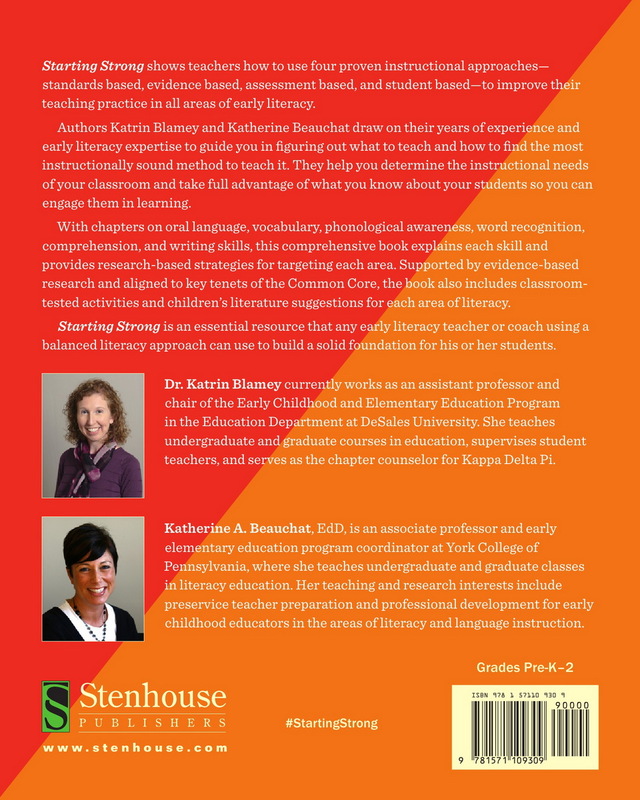 Authors Katrin Blamey and Katherine Beauchat draw on their years of experience and early literacy expertise to guide you in figuring out what to teach and how to find the most instructionally sound method to teach it. They help you determine the instructional needs of your classroom and take full advantage of what you know about your students so you can engage them in learning. With chapters on oral language, vocabulary, phonological awareness, word recognition, comprehension, and writing skills, this comprehensive book explains each skill and provides research-based strategies for targeting each area. Supported by evidence-based research and aligned to key tenets of the Common Core, the book also includes classroom-tested activities and children’s literature suggestions for each area of literacy. 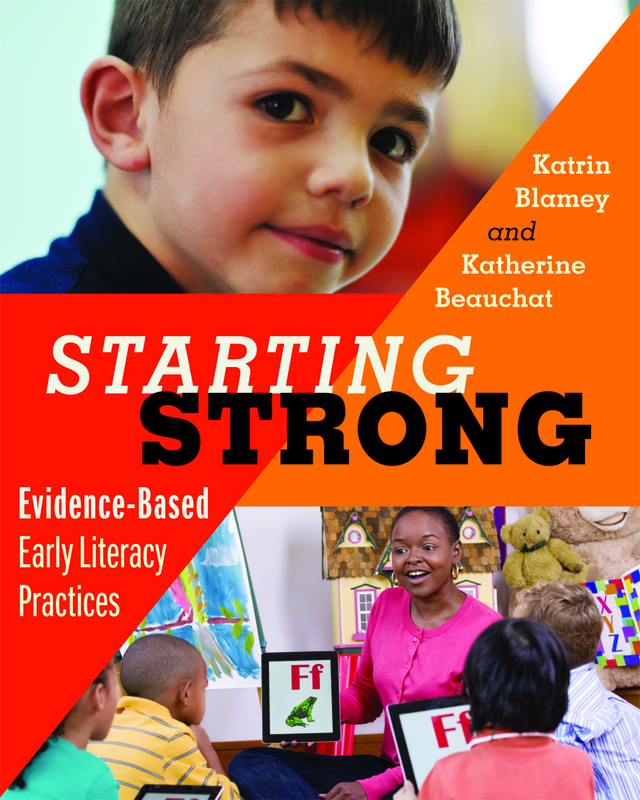 Starting Strong is an essential resource that any early literacy teacher or coach using a balanced literacy approach can use to build a solid foundation for his or her students. Even veteran teachers can benefit from having this book on their shelf as a resource and flipping through its pages to refresh their memories about methods and activities they have not recently used. They may even discover an exciting new website or app! Katherine A. Beauchat, EdD, is an associate professor and early elementary education program coordinator at York College of Pennsylvania, where she teaches undergraduate and graduate classes in literacy education.